You may receive updates from Cathy Wagner, the creator of this petition. As members of the academic community, we write to share our concerns that the contract you have imposed on your faculty will negatively impact the quality of education at Wright State University. 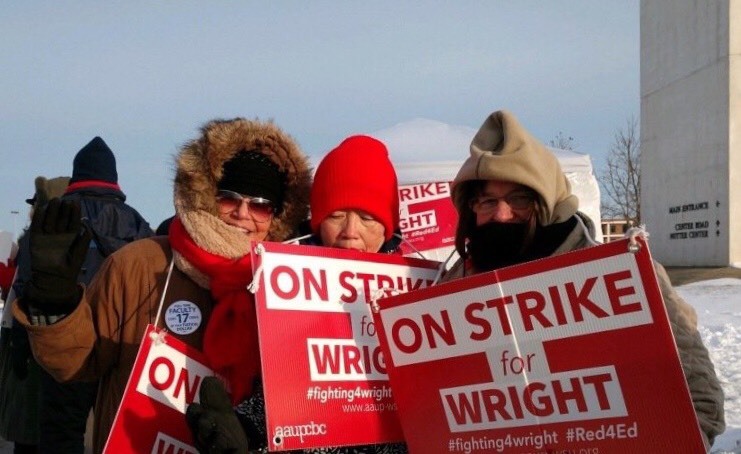 We also write to express our alarm over the dangerous and unethical tactics you have used to intimidate faculty, staff, students, and members of the community as the AAUP at Wright State has legally gone on strike in the hopes of achieving a fair contract. We are signing our names to this letter to indicate that we, as professionals who are familiar with best practices in higher education, fully support your faculty and condemn the university’s recent actions. We ask that Wright State’s administrators immediately recommit themselves to the mission and responsibilities of a public institution of higher education. If Wright State imposes an unfair contract on the faculty or continues to engage recklessly in providing information to the public, we will refuse to apply for opportunities at your university, and we will discourage our colleagues and graduate students from doing so, too. In comparing the faculty’s previous contract to the contract that you have imposed, we can see significant changes in the conditions of faculty employment at Wright State. We know that these changes will negatively impact the quality of education at your university. The contract you have imposed invalidates a binding agreement that previously protected faculty teaching loads. The contract you have imposed requires that non-tenure eligible faculty must complete at least 9 years of service (and in most cases, 12) before they will qualify for continuing appointments that would ensure their job security. The contract you have imposed makes dramatic cuts to faculty health insurance plans, cuts that will affect the quality as well as the affordability of their health care. The contract you have imposed includes a new furlough policy that you describe as “cost-saving days” which would give administration the ability to furlough faculty on an unlimited number of non-teaching days while still expecting them to continue their regular research and service duties. Although our primary concern in this petition is the current contract that you have imposed on the faculty, we also have grave concerns about the future of academic freedom at Wright State. We have been shocked to witness your administrators and social media representatives vaguely insinuate that students’ Title IV Federal Financial Aid funds could be taken away if students refuse to attend classes taught by replacement instructors. We have been similarly surprised to see your administrators and social media representatives celebrate the use of contingent or adjunct labor to replace striking faculty. We fear that Wright State’s public releases of faculty emails and screenshots of faculty as well as students’ personal social media accounts will have a chilling effect on rights to freedom of expression on your campus. Overall, Wright State’s public messaging about the strike has not only been unsettling but also unprofessional—indicative of what seems to be a lack of understanding on the administration’s part of historical, social, cultural, and academic norms. Wright State has gained a national and international reputation over the past fifty years due to the faculty, staff, administrators, and students who have all worked together for the common good of the university, the region around it, and the world. As prospective future employees of Wright State and collaborators on projects based at your university, we strongly urge you to negotiate in good faith with your faculty and engage responsibly with your public. We will be watching in the hopes that you will decide to keep Wright State the kind of place where dedicated academic professionals would wish to work.